To become an astronaut, one has to meet an extraordinary set of standards and excel physically, mentally, and emotionally. They also need to have a firm handshake. That’s according to YouTube’s SciShow Space, which recently did an installment on the rarely discussed astronaut ability that’s all in the wrist—and the forearm, and the hands. You see, in zero gravity, space travelers don’t have much use for their legs, especially when performing extravehicular activities (EVAs), a.k.a. spacewalks. As SciShow host Caitlin Hofmeister explains, these outings require a ton of strength and agility, and because of friction, sometimes even result in a lost fingernail. 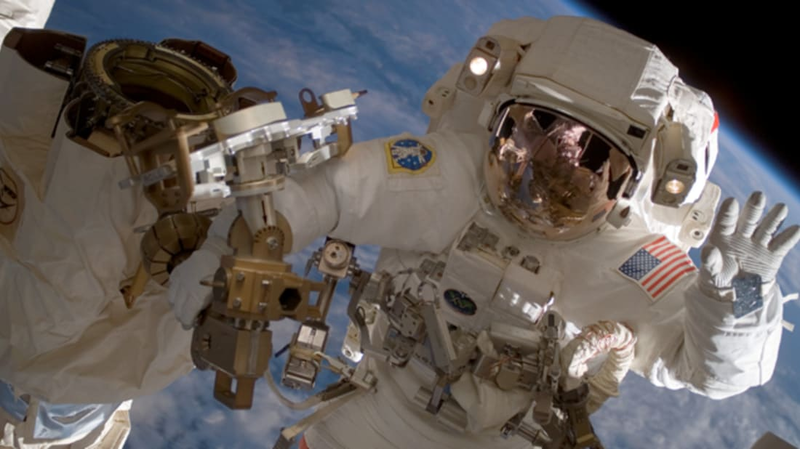 In a 2005 NASA study, nearly half of all EVA training-related injuries were in the hands. The Robo-Glove technology could one day even become a complete space suit. So yeah, while astronauts are currently engaged in exhausting, hours-long physical feats, they’re paving the way for a future where superhero-like spacesuits could help us explore the final frontier. Check out more in the SciShow video below.